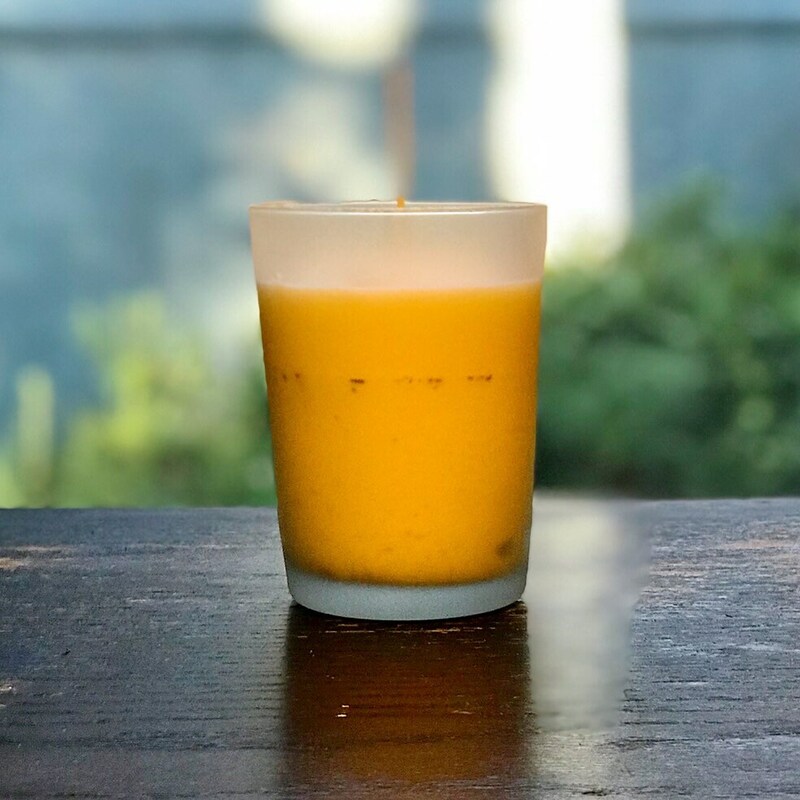 Hand-poured by Shea Stanback, this candle is scented with a unique combination of essential oils including lavender, frankincense, myrrh, and more. The surface is a chalkboard so you can easily customize it with messages and drawings of the light you want to manifest in your life. Light it whenever you want to fill your space with a bright energy and scent.